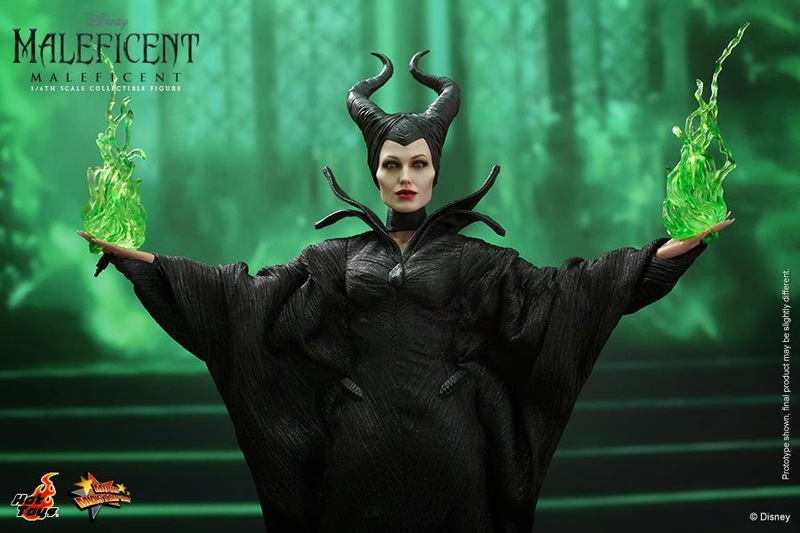 Expect this magical figure to retail for around $225, although Hot Toys has yet to release an official price. 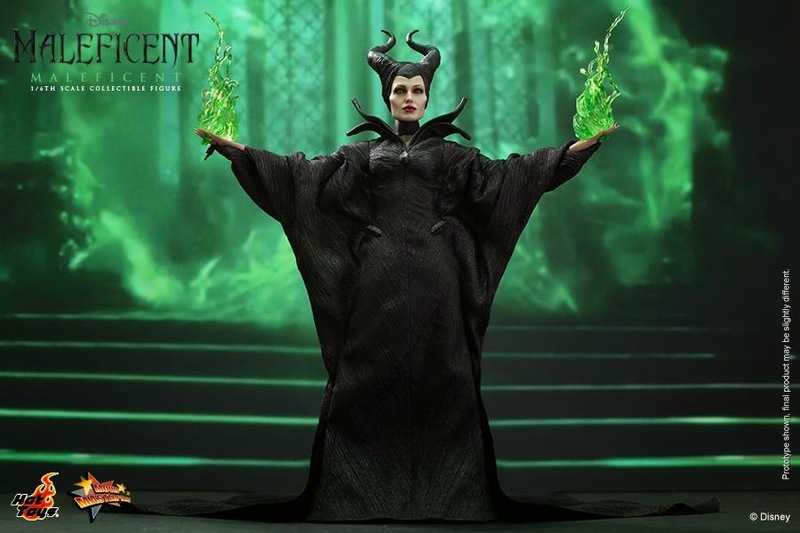 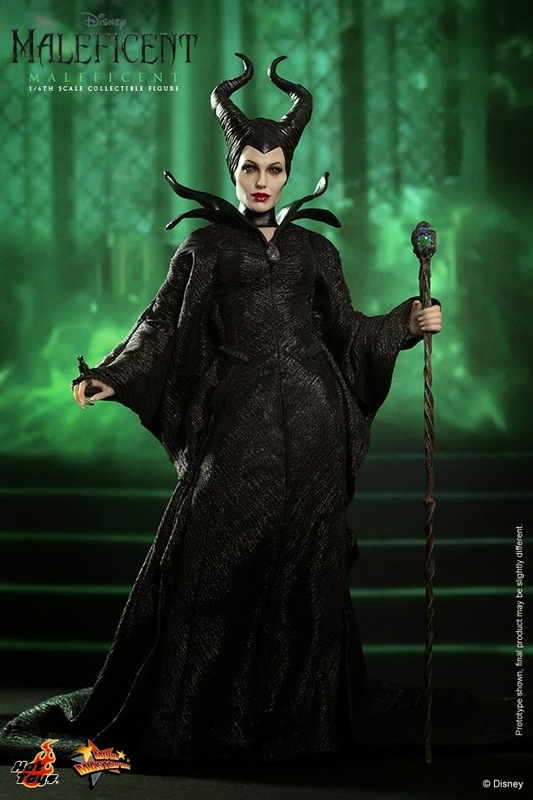 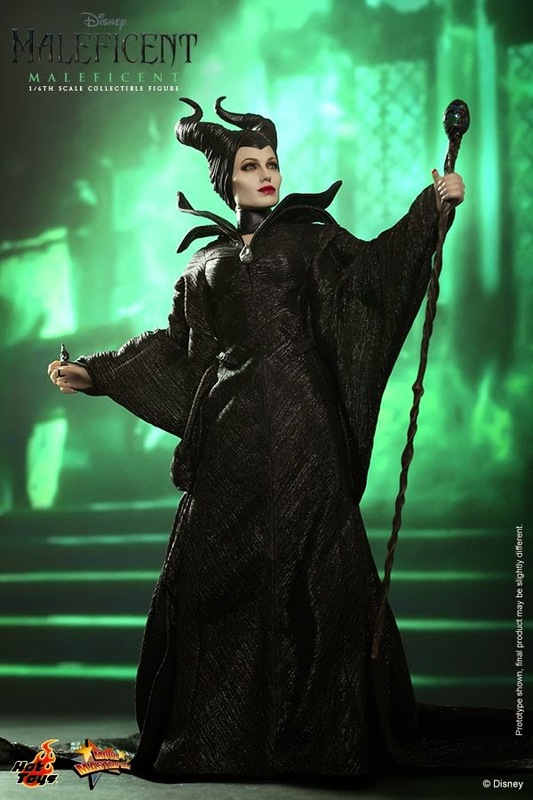 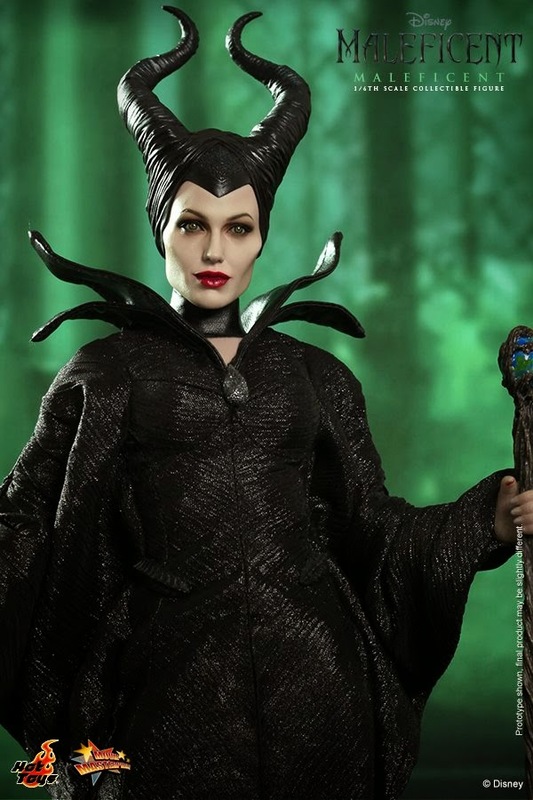 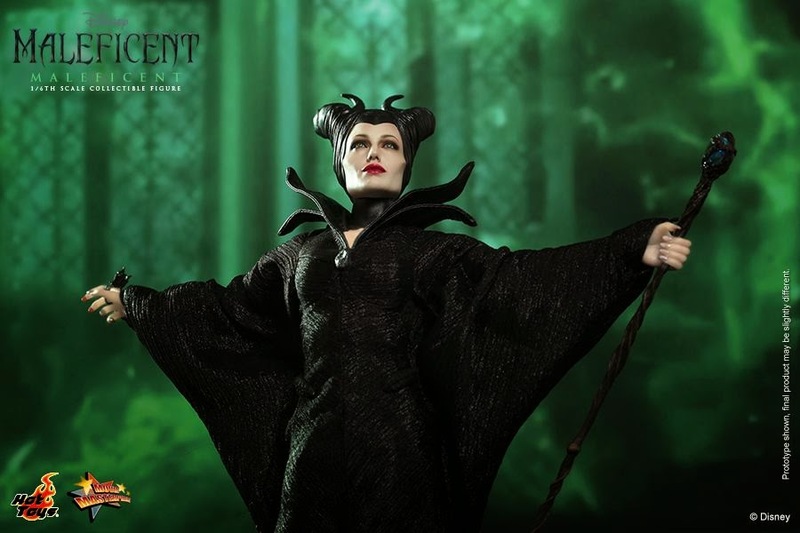 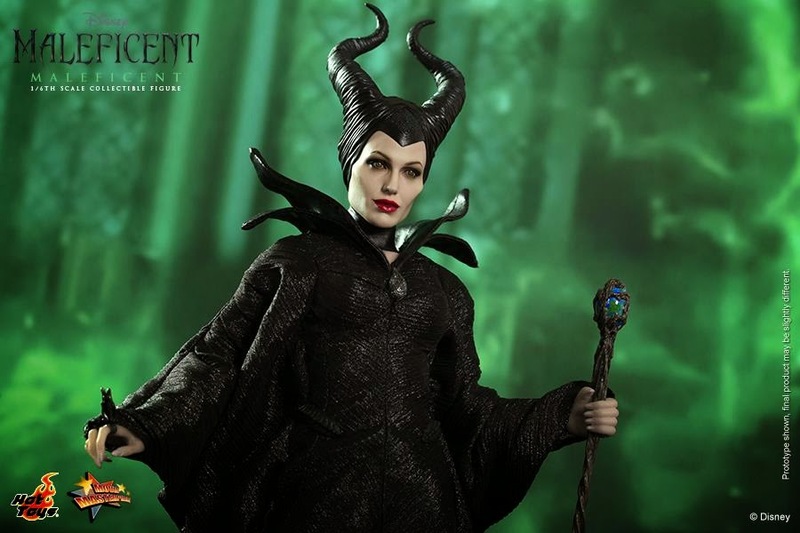 This is one of the best sculpts Hot Toys has done this year they really captured Jolie's portrayal of the character spot on rather than just making a straight forward Maleficent 1/6 scale figure which would have been easy to do here. 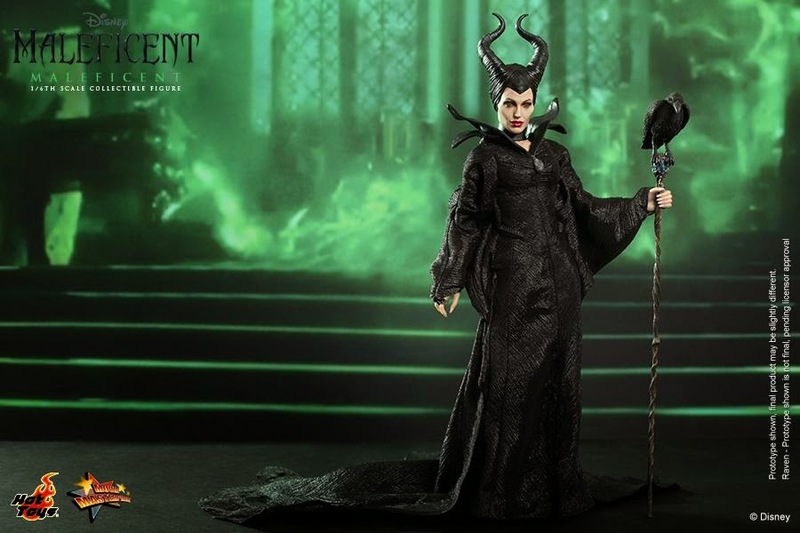 As I look at this figure I think it would be a great gift for young girls across the world that their parents will never buy due to the price point. 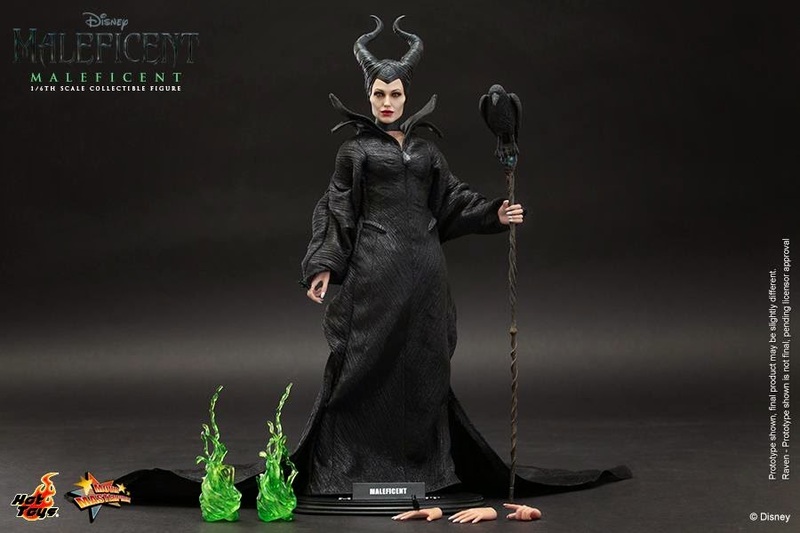 Again these Disney figures have shelf warmed in Side Show and Hot Toys warehouses for months at a time, so I don't understand the continued focus on a line like this as you delay lines that are guaranteed sales like Back to the Future or Batman Returns. 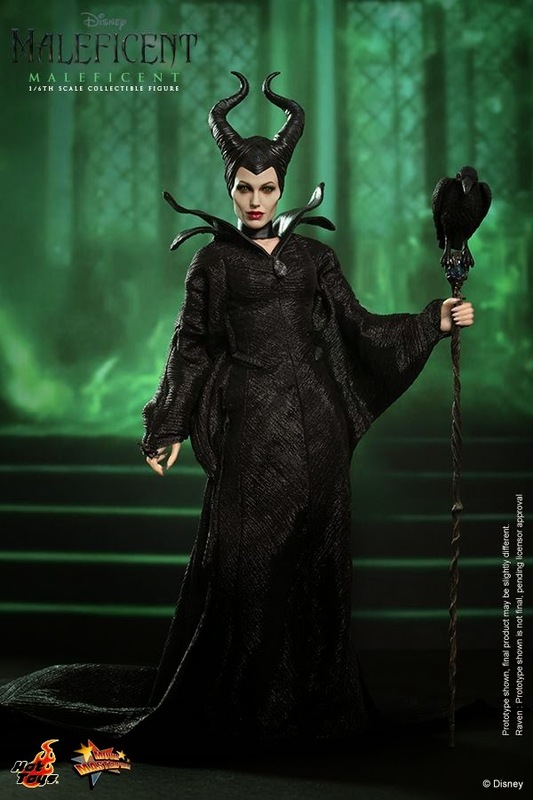 Look for this figure to be up for pre-order very soon at Side Show and BBTS!